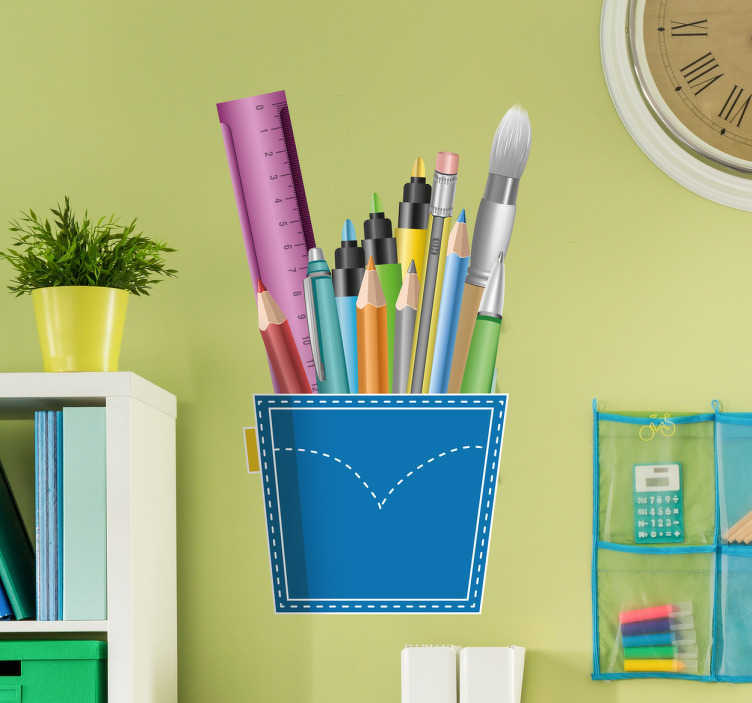 Wall Sticker of a pocket full of pens, pencils and a ruler. A great wall decoration for an office, classroom or study. A great use for the sticker is to let everyone know where all the pens and stationary are located.